Our 27th year in business has seen an expansion of our customer base, an increase in aircraft recovery equipment sales, and the introduction of a new format for delivering aircraft recovery training. Since our foundation in 1989 AMS has worked with airlines, airport authorities and military air forces around the world to ensure aircraft can be recovered safely, with the minimum of delay. During those 27 years our close working relationship with customers has enabled us to develop new, sometimes ground-breaking, equipment (including our 50 Tonne Turntable, which was produced specifically for wide-bodied aircraft and remains the only turntable capable of handling the A380). 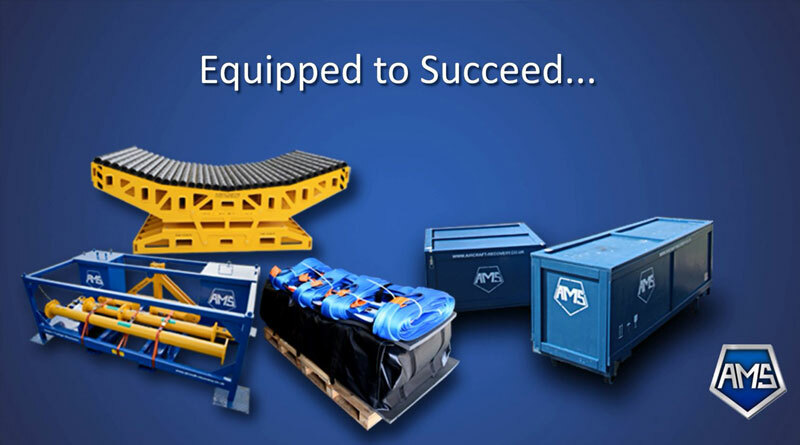 As a result we are regarded as the provider of choice by many organisations and seen as one of the leading innovators in the design, development and manufacture of aircraft recovery equipment. We continue to work with major aviation industry decision-makers and aircraft designers, to develop aircraft recovery equipment and training programmes to cater for the growing needs of the industry.